On the 28th of August, Rachael – who has experienced the impact of the M.A. 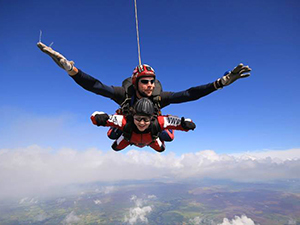 through her work – jumped from 15,000 feet to raise money. Here’s a photo of her on the way down!